The 20th anniversary of Animal Kingdom is quickly approaching; however, many people still don’t appreciate the hidden wonders of this park. Sure, a cursory jaunt through the park will get you a few thrill attractions and some great views of animals, but a slower walk through the park will allow you to appreciate the little special details. 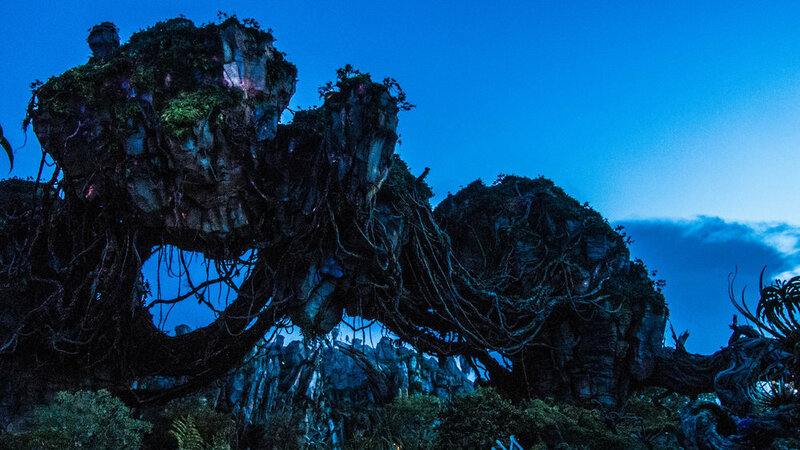 One of the most interesting thing about this park is that it was imagined, in part, by Joe Rohde, who is highly focused on art and art history. As such, so much of the park has references to objects from the real world and/or was inspired by an artistic piece. 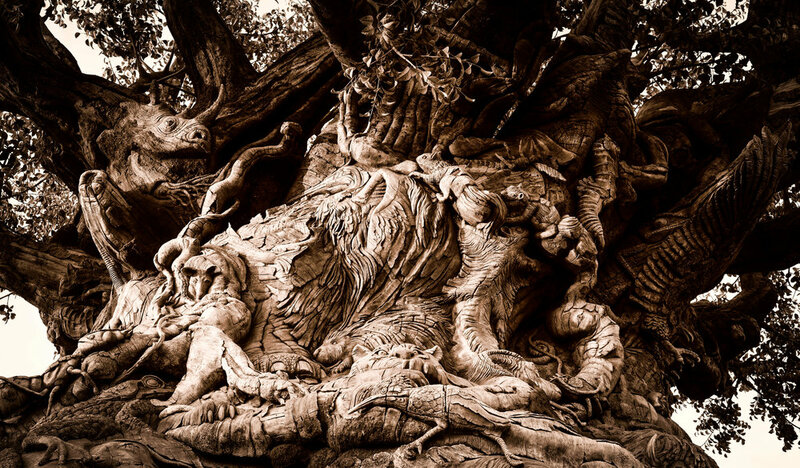 Since detailing all of the references throughout the park would encompass a novel, I would like to highlight a few fun aspects in the details of the park for your next visit. First, all of the details in the park are on purpose and specific in such a way that is easily overlooked by the casual park-goer. Ever look at the worn away posters in Harambe Market? If you do, you will notice that they advertise the Festival of the Lion King, which is an attraction that received a new theater in Africa. Speaking of Pandora- have you eaten at Satu’li Canteen? 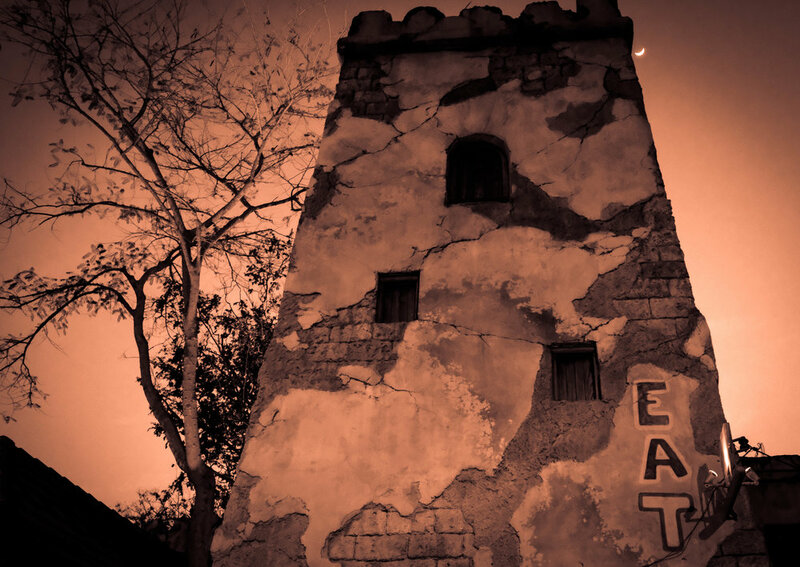 The story of the building is that it was once the commissary for the army while they were outposted on Pandora. It has now been taken back by the Na’vi, but you can still see the rusty stains of where piping was and the signs leading guests to the “Mess Hall” show the “history” of the building. These elements are not “necessary” per se, but they add just that little extra to the park that creates a better guest experience. You can’t talk about Animal Kingdom without talking about the animals. Many people brush off Animal Kingdom as simply another zoo and, if they have easy access to a zoo at home, why visit one on vacation? However, the park could not be further from a typical zoo. The traditional cages are nowhere in sight and very few of the animal exhibits actually show the animals in a restricted environment, aside from smaller animals (such as reptiles or bugs) that are housed in glass environments. When you go to view the gorillas, there are no bars; the lions are laying out on their kopjes (rock formations) without any obvious barriers between them and the guests; and the monkeys are simply swinging from their ropes around Asia above guests’ heads. It’s a whole new way to experience and interact with animals that a zoo cannot offer. And, since there is a big emphasis on learning, the park is replete with animal experts offering in depth knowledge of the animals. Let’s discuss a little bit about the art history elements of the park. Have you ever gazed upon the floating mountains and had your eye drawn up to the sky? This is inspired from the cathedrals from the Gothic era that grew to great heights to bring the eyes to heaven/the glory of God. Have you walked by the Yak and Yeti restaurant? The stone sculpture of the dragon has its origins in Asian art, reflecting an actual piece in the world. The fact that the structures and elements of the park are genuine reflections of real world elements helps cement that immersion. It’s these very special elements that make up the park that demonstrate what type of unique experience it offers to guests. The trick is letting yourself experience it and not just run from attraction to attraction and then leave mid-day. So why not take an entire day and enjoy the park. First, while Coco is a Disney film, it truly comes from the people at Pixar. This studio has developed quite the reputation at striking the emotional nerve- see Up, Wall-E, Inside Out, and Toy Story 3- so it shouldn’t be such a surprise that this movie does the same. However, Pixar is not known for working with human characters often- though there have been a few exceptions. Up is the first one that comes to mind as it has arguably the biggest emotional pull in a Pixar movie. And, while emotions are evoked during interactions between the human characters, the cast is small, with only about 2 to 3 humans in these emotional scenes. Inside Out also dealt with humans, though perhaps in a slightly roundabout way as you felt more of the emotion via, well, the emotions. Joy’s understanding of Sadness and realizing that her little Riley was growing up was the basis of the emotion in that movie. Similarly, while Wall-E also had human characters in the movie, you felt more emotion between Wall-E and Eve, the "non-human" characters. Toy Story 3 brings out the emotions when you experience Andy’s growing up and bequeathing the toys to the next child via the toys’ perspective. So to now have a film with mostly human (both alive and dead) characters do such a great job at tugging at the heart strings (ok- maybe pulling is the better word here) was a welcomed change of pace. Now I know many of you are probably screaming at me that I left out a couple of movies with human characters. However, these movies just didn't have the same emotional element as the aforementioned films did for me. The Incredibles, while an amazing super-hero movie, never really made me cry as Coco or Up did- it was pure fun and action with some lessons in family but nothing to cause the water works to turn on. Brave was, I believe, supposed to strike that emotion bell- I mean it’s a movie about the mother/daughter struggle that is all too real for me- but the way the story was developed, this connection never really stuck me and I was caught up in the elements of the movie that, at least for me, were misses on the story side. These examples were also reasons why I was somewhat nervous about Coco, especially after having seen more of the story in the trailers (the discussion of trailer cuts is for another time for sure). But the great thing in this case was that the trailers were not at all reflective of what the movie was going to do in its telling of this story. And, while the story may seem very simple, the way the movie makes you care about the characters and allows everyone to relate to their feelings is the real genius of this movie. Ok, let’s deep dive a little more into this film and what it does differently. First, Disney has a history of creating families that are not “complete”- usually a parent (or both) have died, resulting in conflict about separation from home and growing up. Pixar hasn’t done much in the way of families, though they have done a brilliant job with Finding Nemo/Finding Dory and Inside Out, but they don't have the same longitudinal history to compare as Disney. 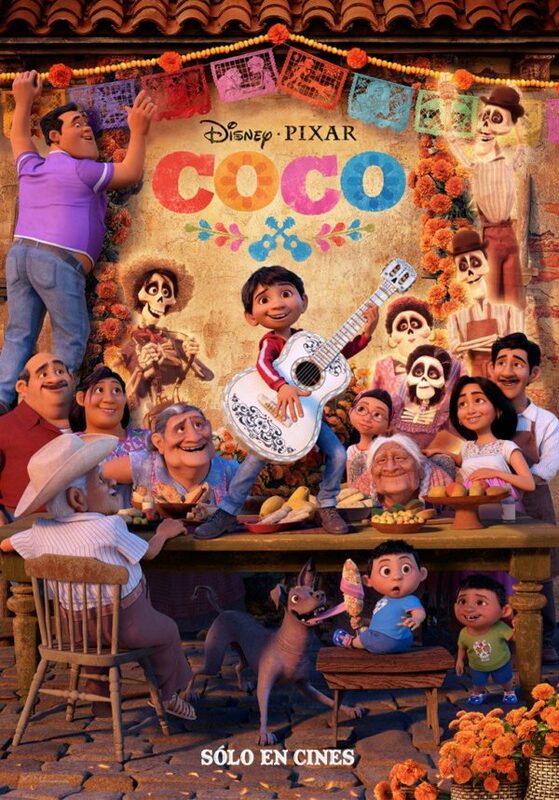 Coco gives us not just a complete family, it focuses on extended family, which is important in almost every culture, though especially in the Mexican culture. And the release of this movie around Thanksgiving, which tends to be when many extended family comes together, is just perfect. There’s also obviously the theme of death and dying in the film, but unlike Disney’s typical handling of this theme, in Coco it is something completely different. The dead are not meant to be mourned, but continually celebrated and remembered. Dia de los Muertos is the day where they are celebrated the most. Many people wondered why this movie wasn’t released around Dia de los Muertos since that is when the movie takes place- I believe it’s because, for Americans, Thanksgiving is the big family holiday and having this film hit during this time is much more impactful than if it was to mistakenly be associated with Halloween time. Going back to the ideas of family and extended family- this film gives the audience the perfect balance of sadness and comedy. The film never let the sad portions sit very long, usually providing a punch of comedy to quickly bring the mood up, though leaving the concepts around to marinate with the audience. The end of the film is where the audience is allowed to fully feel along with the characters and experience the same emotional highs and lows, all capped off with a beautiful song in "Proud Corazon." Another amazing part of this movie is that, the idea of celebrating the dead and keeping them alive via their stories is just a minor part in the overall message in the movie. Another component is the inherent conflict that comes with family and how it can feel to be the 3rd or 4th generation in a family. As many of us know, when we are born, our families have ideas of what we will do with our lives. It’s very hard for some families to have an art student all of a sudden where everyone else was a doctor or lawyer, for instance. Other times, the idea that your child will be a journalist writing about video games might be the thing to cause confusion at family gatherings. In Coco, as we have seen in the trailers, our main character Miguel is in a family that does not celebrate music; however, Miguel loves music. The emotional aspect of music adds to the film without being intrusive. It gives the family something to argue about, which I’m sure is not new to many families. But the way Coco shows the evolution of Miguel and his family regarding this major conflicting point also demonstrates the complexity of Pixar storytelling. The writers allow both sides of the argument to breathe and give each voice a completely valid reason for feeling the way they do. It’s the type of issue that, if handled poorly, could either be very heavy handed or make viewers come away with a bad taste in their mouth. Luckily, the writers have a surgeon’s touch in balancing the adult perspective and the child perspective and allow for a resolution that causes the waterworks. And I truly feel that, the true gem of this movie is definitely the music. The fact that the soundtrack contains 4 different versions of the same song, each of which contains its own emotional thread, is just astonishing. You want a song to make you cry, both in heartache and in joy, this movie has given you that. Coco marks a high point in Pixar original storytelling. In years where original stories have been either completely absent or grand misses, Coco shines as an example of what can be done when storytellers are at their best. I truly encourage everyone to see Coco- it’s the absolute perfect “family movie” in every aspect of that term.